Optophones convert type into patterns of audible tones. Initially designed in the United Kingdom in the 1910s to give blind readers direct access to inkprint materials such as books, new versions continued to be produced in the U.K., Germany, and United States through the 1970s, chiefly in the context of post-World War II rehabilitation. 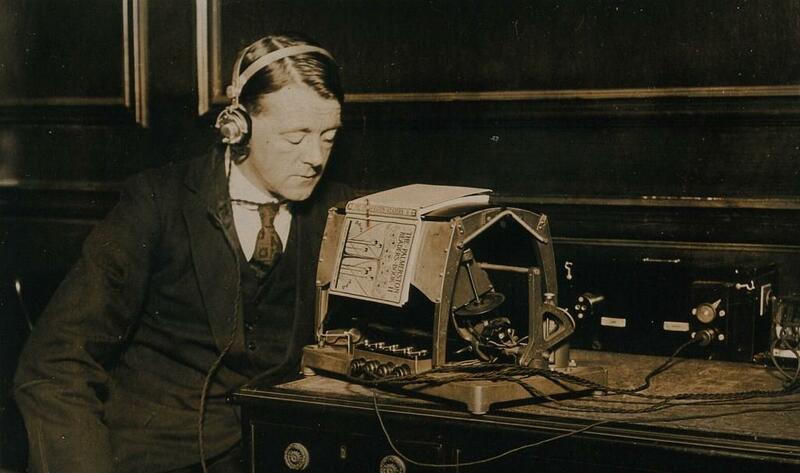 Reading with an optophone requires learning a tonal code: correlating sonic motifs to letters. In the first commercial version of the device, developed by the firm Barr & Stroud between 1918 and 1920, the letter “V” was indicated by the sequence G’, E’, D’, C’, D’, E’, G’, whereas a lowercase “o” yielded the motif D’, E’C’, D’ (see Figure 1). Fig. 1: Diagram detailing the optophone’s conversion of letters into audible tones. Credit: The Graphic (date and author unknown); reprinted on page 124 of The Moon Element, by E. E. Fournier d’Albe (1924). Optophones are often recalled as tools for sonification, and indeed a precursor model – the “exploring optophone” (see Figure 2) – converted light into sounds of corresponding intensity, as a proposed aid to navigation. Fig. 2: Illustration of the exploring optophone. Credit: page 102 of The Moon Element, by E. E. Fournier d’Albe (1924). Fig. 3: Optophone for blind readers, patented by E. E. Fournier d’Albe. Device pictured here assembled by Barr & Stroud, ca. 1921. Credit: Wellcome Library, London and Wellcome Images, accession number PHO 4336. We propose instead that the labour of translation – the practice of reading with the optophone – was paramount to the machine’s technical innovation, design, marketing, and early acclaim. The labour point of view encompasses manufacturer, developer, and reader. Far from being mere “end-users,” the first optophone readers were also developers, who worked closely with manufacturers such as Barr & Stroud, offering abundant recommendations about hardware and tonal codes as the technology was updated and maintained. These early adopters popularized the optophone through their public demonstrations, lending it a reputation that far outstripped actual use. Exceeding the conventions of what came to be called human factors design and usability testing, optophone reading required extensive training; moreover, the capabilities of the technology only became evident in concert with skilled reading. The embodied experiences of blind readers were distinct from those of sighted inventors and manufacturers; blind readers likewise demonstrated greater expertise about many aspects of optophone use. Fig. 4: Mary Jameson reading Anthony Trollope’s The Warden on an optophone, ca. 1921. Credit: Blind Veterans UK. Fig. 5: Demonstration of visotoner, a “miniaturized optophone” developed by Mauch Laboratories (Dayton, Ohio) in the 1960s. From a tape recorded letter by Margaret Butow to Mary Jameson, March 1971. Original 7” open reel tape courtesy of Harvey Lauer; digitized by Mara Mills. We further propose that optophones can be remade or prototyped (see Figures 6, 7, and 8), such that optophonics itself becomes the mode of inquiry into machine labour and maintenance of machine work.7 The prototyping process involves archival research alongside techniques such as 3D modeling, physical computing, and additive and subtractive manufacturing (with a laser cutter and router, for instance). It is especially useful when historical devices, such as reading optophones, are minimally documented, no longer available, or do not function as they once did. Prototyping the Past is an expansive research program at the University of Victoria, where two of us (Chan and Sayers) are located.8 While prototyping an optophone, the University of Victoria group read an academic article by Mills on the history of the device. In this instance, prototyping enables researchers to study and test the dimensions involved in past listening, reading, coding, and decoding practices – without any assumption of recovering specific past experiences. If archives provide testimonial fragments about individual use, then 2D to 3D translation helps scholars in the present to broadly characterize optophone reading, weigh historical controversies, and understand technical affordances. The prototype by Chan and Sayers, in turn, prompted Mills to return to the archival materials she had previously collected on the optophone, looking for concrete design contributions of early blind readers (as discussed below). Like translation more generally, prototyping does not seek a straightforward, 1-to-1 equivalency, nor does it seek to replicate past devices or embodied experiences. Instead, it highlights smaller gains or losses over time and across versions. That is, it foregrounds difference and absences: what we cannot retrieve, repeat, or translate in the present. Furthermore, the process calls attention to the labour of translation – both in the past (the labour of Mary Jameson and other optophone users) and now (the labour of remaking) – that typically escapes media studies scholarship. Fig. 6: 3D model of a reading optophone frame. Credit: Tiffany Chan, Danielle Morgan, Victoria Murawski, and Jentery Sayers. Fig. 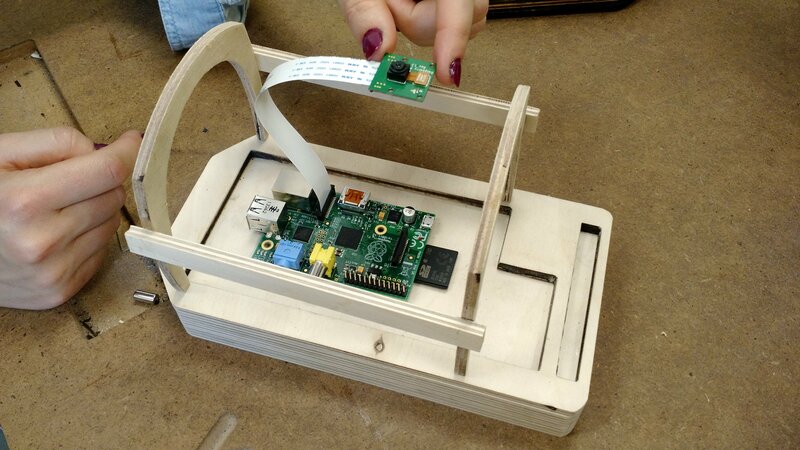 7: Prototype of a reading optophone (glass and handle not pictured), laser-cut and powered by a Raspberry Pi and Pi camera. Credit: Tiffany Chan, Katherine Goertz, Danielle Morgan, Victoria Murawski, and Jentery Sayers. Fig. 8: Video demonstrating the process of prototyping a reading optophone. Credit: Tiffany Chan, Katherine Goertz, Danielle Morgan, Victoria Murawski, and Jentery Sayers. Jameson had begun using an optophone after meeting Fournier d’Albe at the University of London Club in 1917, when she was 18 years old. Her father, Thomas Jameson, who was an attorney, wrote a letter to Barr & Stroud on her behalf in 1920, asking if they would take her on as an affiliate – namely, by providing compensation and training for the increasing number of public demonstrations she was being asked to give.14 She began working on Mondays with A.M. Lundie from the London branch of Barr & Stroud, and soon thereafter Lundie developed an optophone handbook and training guidelines based on their collaboration. Within 18 months of training with Lundie, Jameson’s average reading speed with the optophone was 40 words per minute (at her fastest she attained 60 wpm). The first book she read in its entirety was Anthony Trollope’s The Warden (1855), which she said “happens to be the first ordinary printed book to have been read completely by a blind person.”15 She also read Nathaniel Hawthorne’s The Scarlet Letter (1850) and Herman Charles Merivale’s Bar, Stage, and Platform: Autobiographical Memories (1902). “I have purposely chosen writers differing widely in style from one another,” she reported to Barr, “so as to accustom myself to varying turns of phrasing. I am surprised to find how easy it is to know what is coming when one becomes familiar with a writer, to pass quickly over the words, and then fancy one is making wonderful progress in speed; and then, what disappointment when one takes up a fresh book!”16 She gave numerous demonstrations throughout the 1920s at her home in London as well as at scientific exhibitions, meetings of medical societies, and nearby schools and universities. Barr & Stroud compensated her on a piecemeal basis; Thomas Jameson remained frustrated that the firm did not offer her a formal contract or regular employment. Fig. 9: Mary Jameson, comparing the British optophone to the visotoner. From a tape-recorded letter by Mary Jameson to Harvey Lauer, ca. 1970. Original 7” open reel tape courtesy of Harvey Lauer; digitized by Mara Mills. Fig. 10: Harvey Lauer, demonstrating the visotoner and discussing varieties of print. From a tape-recorded letter by Harvey Lauer to Mary Jameson, ca. 1970. Original 7” open reel tape courtesy of Harvey Lauer; digitized by Mara Mills. Prototyping optophones with both Jameson and translation in mind offers us another way to understand the labour, maintenance, and incremental change involved in the design of reading machines – in contrast to the hyperbole of masculine, “make or break” narratives of historical ruptures and innovations. Prototyping prompts us to return to the archive to more carefully unravel how Jameson read with different models of the optophone,24 without assuming we can ever inhabit her embodied position in time or empathize with how she experienced the world during the 1900s. Far from collapsing distinctions between present and past, the prototyping process renders them more palpable and explicit.25 In this sense, prototyping is not about replicating the “original” optophone or reclaiming embodied translation experiences such as scanning, listening, and interpretation. 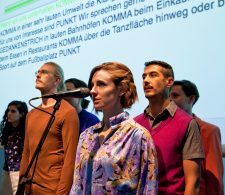 It instead turns our gaze outward to scrutinize how reading practices and identities materialize and congeal with and through technologies – and to reflect on our own embodied relationships to machine work. To remake the translation process of optophonics, Chan and Sayers used present-day technologies (including OCR technologies such as Tesseract) to imitate the sounds as heard through headphones. In the glass-topped version of the optophone pictured in Figures 3 and 4, the tracer emitted six to eight beams of light, stacked vertically to correspond to different points on a letter. As these beams of light swept horizontally across a line of type, the machine converted the pattern of reflected light into sound. Based on historical images of the schema, Chan sketched each letter and approximated the pattern (see Figure 11) – and consequently, the sound – of each letter. 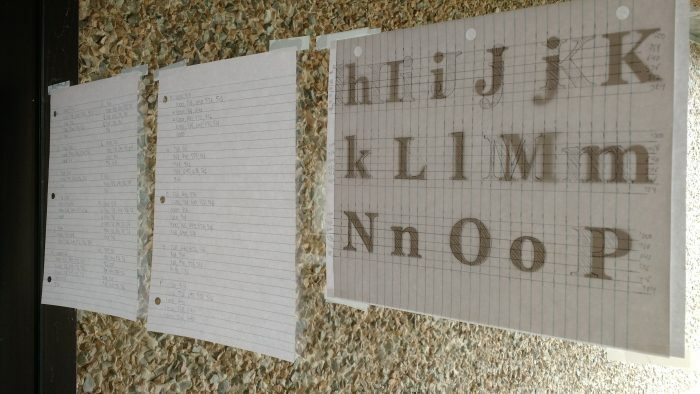 This rehearsal and remediation of machine work reveals numerous contingencies in a single act of translation: for example, different fonts and font colours produce different results, affecting how quickly the tracer “samples” a given letter. Fig. 11: Using a window to trace letters and punctuation marks to create a Python script for a reading optophone prototype running on a Raspberry Pi and Tesseract. Credit: Tiffany Chan. By prototyping an optophone using present-day components, we find that today’s gadgets cannot represent some of the behaviours and interactions associated with past technology. Because OCR scans page images discretely, character by character, rather than continuously, Chan and Sayers’s optophone prototype could not account for the fine-grained feedback and control provided by an analog optophone. Since OCR is purpose-built for machine-readable text, it does not afford many creative or counterintuitive uses. Ironically, the newer technology seems almost inefficient or inadequate. Automation, then, does not by default make technology easier or less problematic. That is not to say that manual labour and difficulty are desirable or that we should be nostalgic for pre-digital technologies and cultures. However, we should recognize that fetishizing efficiency and ease in contexts of translation and transcription obscures the labour that subtends these activities, both past and present. When studying media history, we might seek out difficulty, absence, and contradiction rather than assume that these issues need to be resolved or eliminated. As an alternative to grand narratives of invention and disruption (as to how, for example, optophonics and OCR changed translation “as we know it”), we can attend to everyday negotiations and contributions, tracking historical change in terms of smaller gains or losses over time. We might then ask what are appropriate technical goals and endpoints when prototyping early translation devices? One impulse might be to design and build an optophone with output tones that are as easy to distinguish and interpret as possible. But to prototype an “ideal” optophone – one that adheres to longstanding commercial attitudes that require technology to be rigorously optimized – would be to create an optophone that never existed. 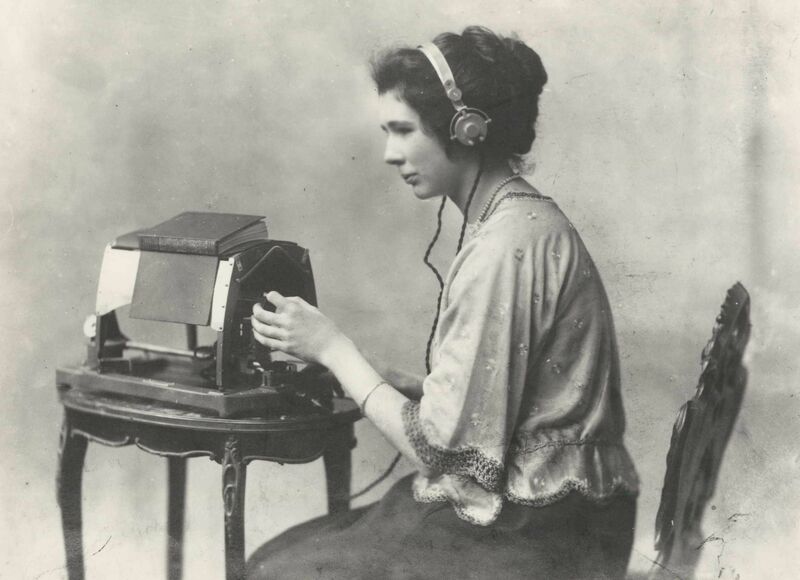 Throughout the first half of the twentieth century, sighted people exaggerated the sonic and physical accessibility of reading optophones. In publications such as The Moon Element,27 Fournier d’Albe highlighted the listening process over the demanding physical procedures of setting up, moving, and navigating books on an optophone. Operators like Jameson needed to plug an optophone into an outlet, find and align the first line of print material with the tracer, and calibrate the device to the size of the type –all before reading a single word. Not only were these procedures difficult for newcomers to learn, but expert operators had to physically navigate an optophone from moment to moment throughout the reading process in a way that is difficult, if not impossible, to capture with two-dimensional materials alone. Prototyping an optophone in three dimensions reminds us that the listening experience was entwined with the tactile experience of moving the handle to adjust reading speed as well as shifting the print material to translate lines of type (see Figure 12). Fig. 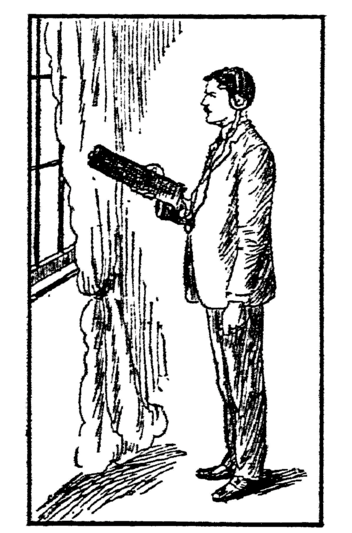 12: Illustration of an optophone’s features, care of Scientific American (Nov. 1920, from “How the Blind May Read with Their Ears”). Chan and Sayers’s prototype further demonstrates that the added labour required of operators, built into an optophone’s very design, was accompanied by small gains in independence and control. Several features, such as differently sized plugs and dials with clicking notches, suggested that operators were expected to manipulate the machines without assistance. And while an optophone’s frame was open and transparent, its headphones created a private acoustic sphere for listening. When combined with the plugs and knobs of an optophone’s interface, this acoustic space marked optophonic reading as an intimate, individual experience. Similarly, as Jameson noted with regard to The Warden, optophones allowed operators private access to the same materials intended for and read by sighted readers, circumventing the costs associated with creating parallel reading materials, such as talking books. This privacy could be read as either a move toward integration or an attempt to conceal signs of difference and disability (especially in the case of miniaturized models). However such privacy is ultimately interpreted, the prototyping process foregrounds it as an embodied negotiation frequently at play in the design and culture of early translation devices. Although optophones have few operators or applications today, the technology of optophonics is central to a broader history of machine reading and audiovisual translation. The routine contributions of developers, manufacturers, test subjects, and early adopters are frequently minimized in inventors’ memoirs and in subsequent histories. Documenting them is nearly often impossible when archives are thin, unavailable, or confidential. 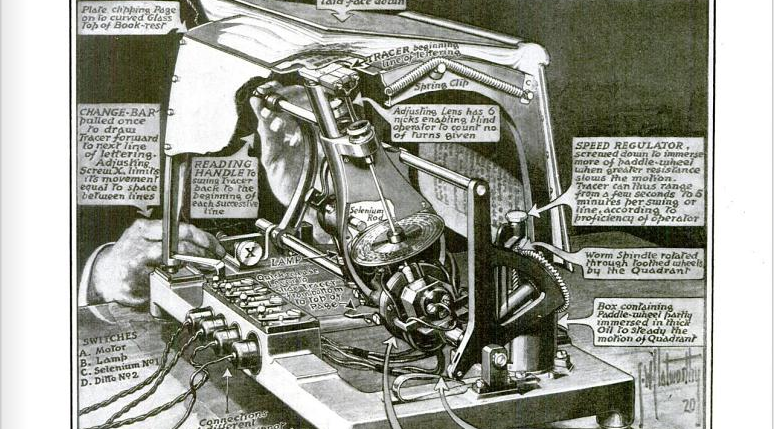 Yet especially with early reading machines, which purported to automate transcription, the labour of equipment operation and output decoding was essential to the design, function, maintenance, and significance of any given device. 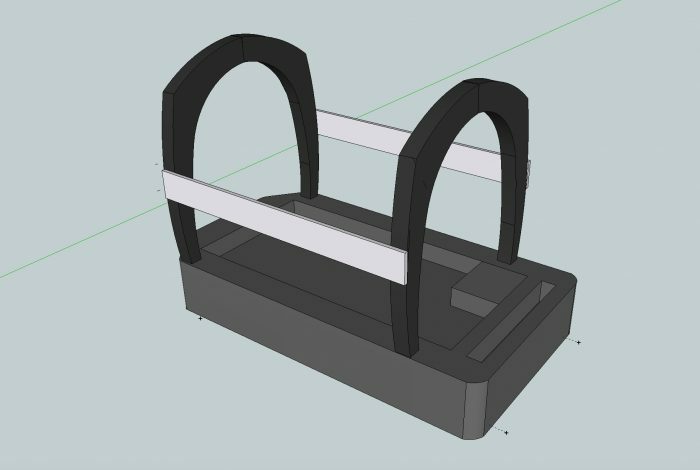 Integrating early technologies into a circuit of 2D and 3D historical research – in this case by combining archival work with prototyping – foregrounds iterative development and invests in the pleasures of “suboptimal” design. Acknowledgments: Katherine Goertz (UVic), Evan Locke (UVic), Danielle Morgan (UVic), and Victoria Murawski (UVic) contributed to early iterations of this research, which was supported by the Social Sciences and Humanities Research Council of Canada, the Canada Foundation for Innovation, and the British Columbia Knowledge Development Fund. A repository of files for prototyping a reading optophone with historical context is available at https://github.com/uvicmakerlab/optophoneKit. Archival research and digitization by Mills was supported by U.S. National Science Foundation Award #1354297, with thanks to Harvey Lauer for materials from his personal archive, and Shafeka Hashash for braille transcriptions. Early drafts of this piece appeared on the Digital Rhetoric Collaborative blog and at the “Histories of Digital Labor” panel organized by Shawna Ross for the 2017 Modern Language Association (MLA) convention. 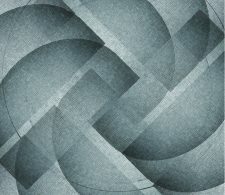 Article: Creative Commons Attribution-NoDerivs 3.0 Unported License.